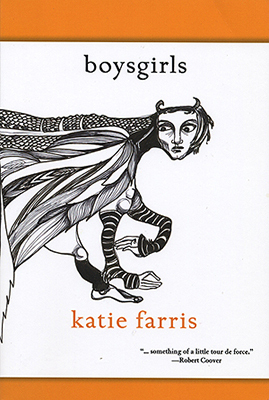 boysgirls, by Katie Farris, Marick Press, Grosse Pointe Farms, Michigan, 2011, 80 pages, $14.95 paperback, www.marickpress.com. …She turns to leer at the masturbating man; noticing for the first time how lopsided he is—how massive his right arm, how puny his left! He turns away, ashamed by her frank stare. And it is this, this mutual shame, this turning away, which finally moves her. Times are hard for dreamers, people whisper, watching him. He would like to turn back. Not a dreamer, he would tell them. The dream. So this is the proposition: titans have good and bad days; Satan's courtiers sometimes are bored and have to fake it, and there are angels with disabilities. Katie Farris will defend the act of creation as always re-creation (an original seven days of re-creation), and perhaps she will allow the enchanted to curse, the remembered to forget themselves or what they have experienced. And this is done through the runes thrown against a wall of the fantastical. We get the girl of reflections being reflective, a girl growing into a craggy mountain and the glorious trope of the inventor of invented things. This involution allows for deflection and grace. There is a one-winged boy/dream that makes love to the girl in the mud and revives the inventor swooning in his re-invention. The Inventor of Invented Things opens his eyes, finds himself cradled in the Boy's One Wing. He does not consider the implications of his momentary unconsciousness, does not ask the gravitational consequences of his weight on the boy's hollow bones, does not question the curious melanation of the Boy's eyes. He feels only what he feels. The Inventor has not invented this. What is this? There are riddles posed to the characters, to the reader, to the necessarily unreliable narrator/author. For Farris there is fairy tale horror in coming of age, different for girls and boys. The girl deals with becoming a reproducing woman, the boy with sorting out what and how to love. The father cradles the son and vice versa. The writer searches for memory, real or imagined, and invents new myths from old, Icarus and Daedalus both alive and dealing with some aftermath. Too close to the sun, too close to a son, there is a transubstantiation, and we speak to one absolute, the palimpsest, the always erased as the only thing that endures. So, the author has brought us to our ends and beginnings, all the kisses and unpleasant partings, the move from child to adult, from ignorance to knowing to ignorance. Katie Ferris will lead you. It will never be to where you think you are going or want to go, but you will need to go there, even to the precipice. 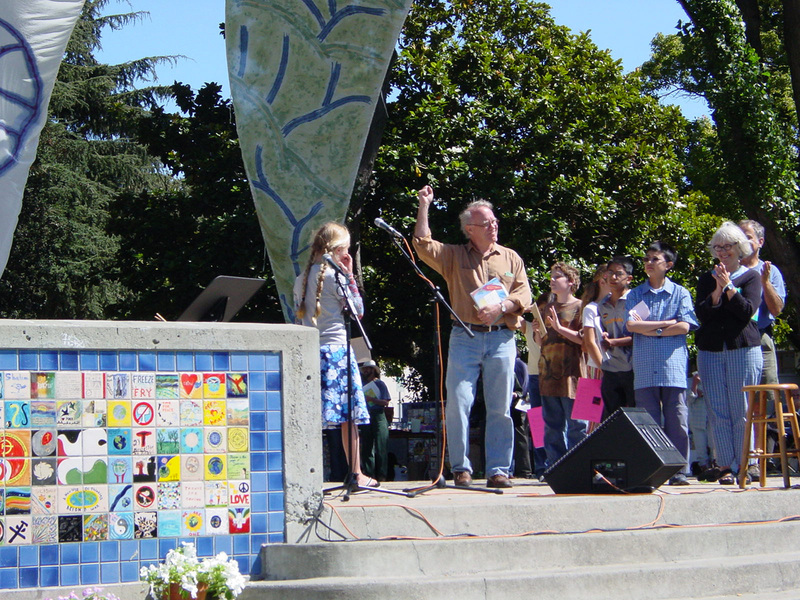 Rob Lipton is a spatial-epidemiologist at the University of Michigan. 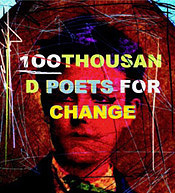 His recent poetry book is A Complex Bravery.